Designed with lightweight, sweat-wicking fabric the Icon Tank keeps you dry and comfortable when things start to heat up. 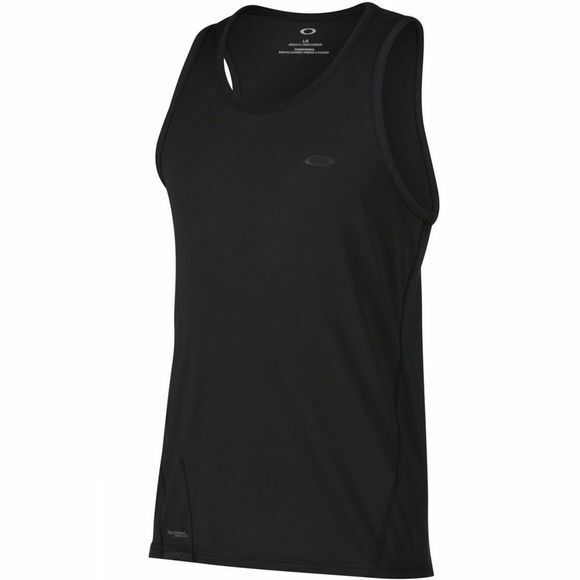 A sleeveless profile and ergonomic seams let you move freely during intense activity. Featuring a reflective ellipse logo that remains visible in low light, this premium Oakley tank top also has an interior eyewear wipe at the right hip to ensure your specs stay clean.